SCCS series German made SIEMENS PLC controller with best design and powerful functions, it can efficiently control the system of dust cleaning, material conveying, alarming etc. 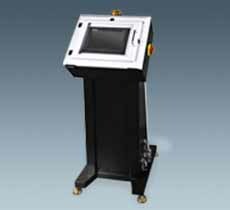 The system has strong compatibility, which can support up to maximum 36 moulding machines. Easy maintenance and highly reliable so to reduce the maintenance cost. Comply with "CE" standard to ensure safe operation. Easy to operate with humanized operation interface.